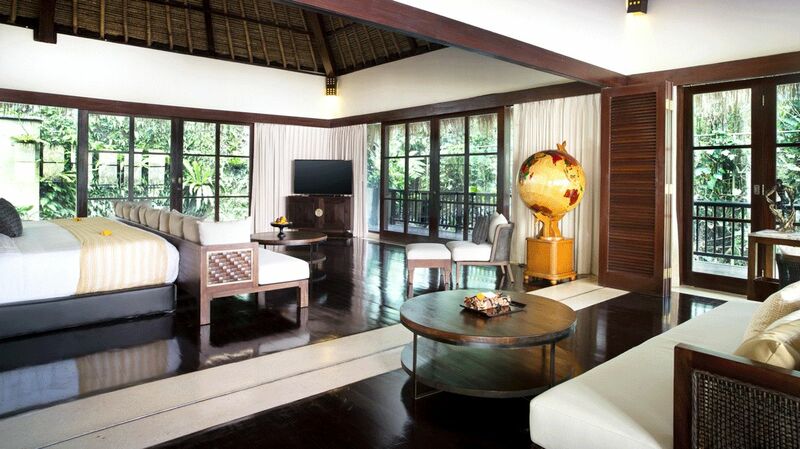 The Hanging Gardens of Bali arise as a striking formation, suspended over the dense rainforest. 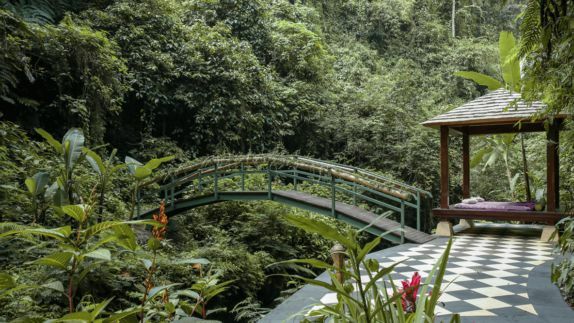 Walking into your room surrounded by indigenous cocoa trees and vibrant orchids for the first time, is one of those feelings that make you wish you could experience over and over again. 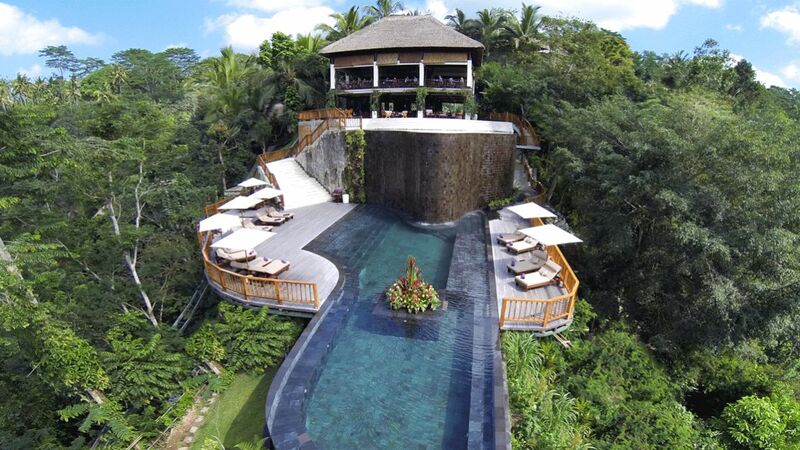 Create special memories you are sure to cherish a lifetime as you plunge into the refreshing world-famous pool that gives you the unique sensation of floating above treetops. How far is the resort from the airport? Where is the next town? 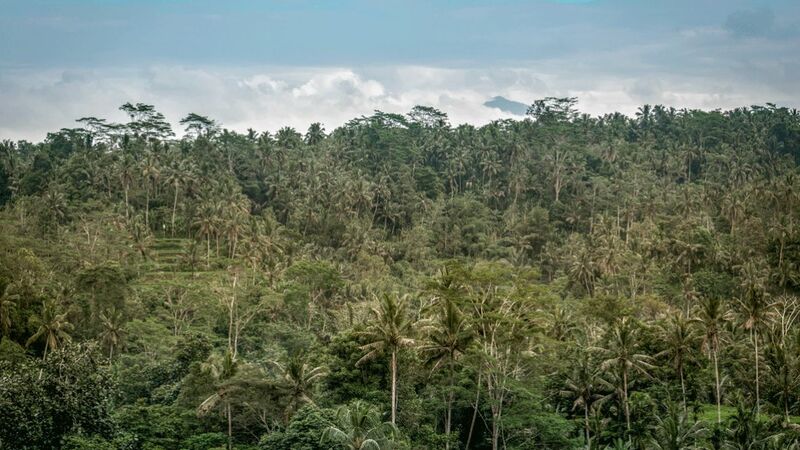 The beautiful Hanging Gardens of Bali is nestled in a stunning jungle valley near the remote little village of Payangan. 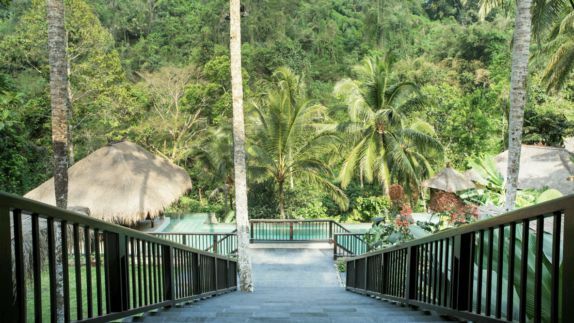 Resting on the edge of a serene jungle, the resort overlooks the mesmerizing Ayung River as lush rainforest and picturesque rice terraces surround. This tropical paradise and its unique views of Bali’s indigenous flora and fauna are sure to cast a mesmerizing spell over you. Which rooms can I choose from? What kind of view awaits me? 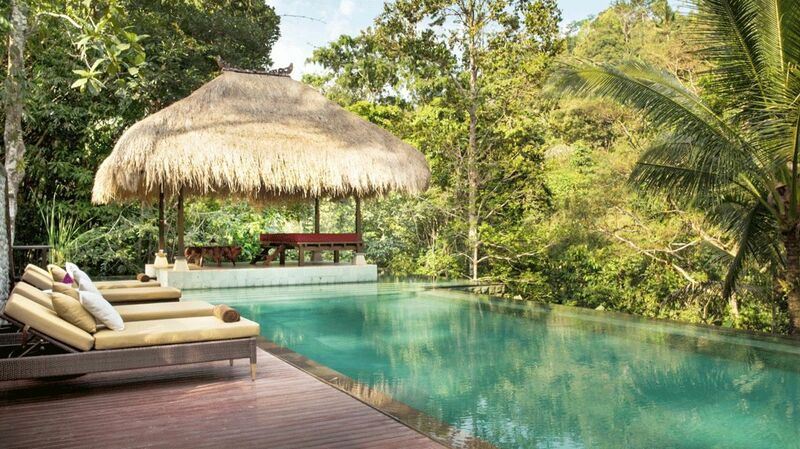 Each spectacular villa is designed to stand in complete seclusion and harmony with nature as the traditional décor, the cascading Ayung River and magical sounds of the lush rainforest come together to create a magical and truly authentic experience on the Island of Gods. Take the time to recharge and restore your energy in luxury bedding as ceiling to glass floor windows allow for light to fill the room with joy and the perfect morning atmosphere. Where is the spa area? Will there be a view of the jungle? 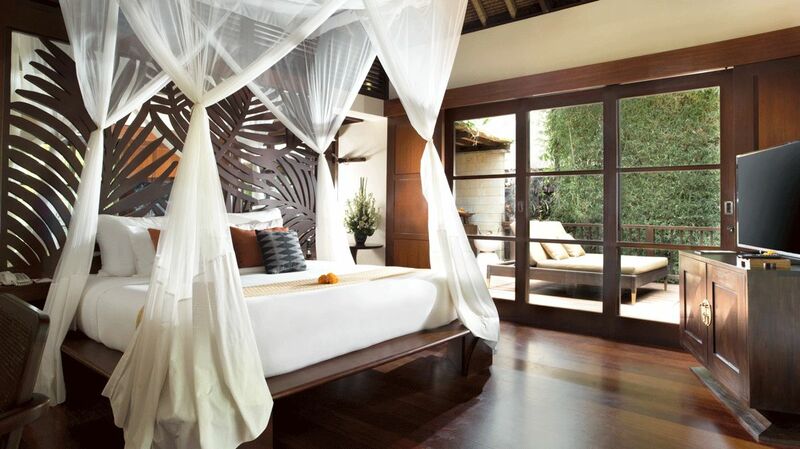 Lavish beauty therapies, signature treatments and indulging rejuvenating massages that combine natural, local ingredients and ancient Balinese techniques are sure to energize the body and reconnect it with the soul. As you dive into one of the most photographed and exclusive infinity plunge pools in the world, Ubud’s rippling Ayung River and the lush rainforest provides an unparalleled background to your peaceful escape. What is the main restaurant like? What kind of cuisine awaits me? Embark on a truly unique culinary journey through Balinese ingredients, flavors and seasonings as you make your way through lush tropical rainforests and gaze upon a swimming pool seemingly floating through the jungle. Sit back, relax and raise your glass to unparalleled views, astonishing cuisine and vibrantly colorful petals decorating the grounds as you make unforgettable memories with your loved ones. What kind of experiences await me? How can I spend my days? 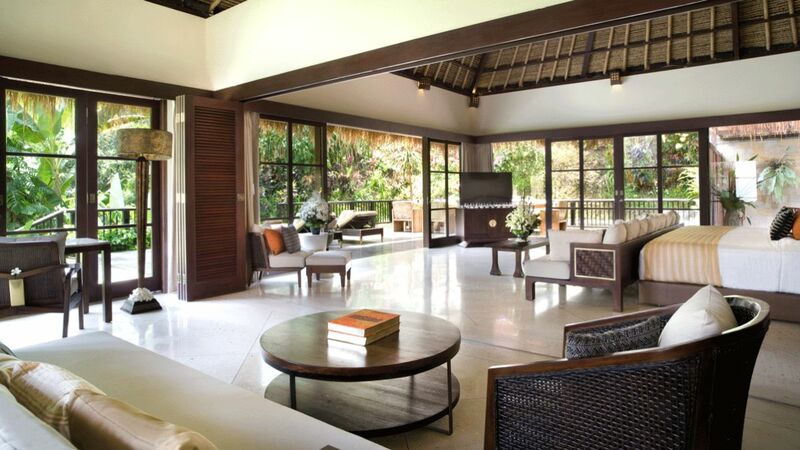 Discover the exceptional diversity of this award-winning resort and its utterly beautiful Balinese surroundings just waiting to be explored by you. 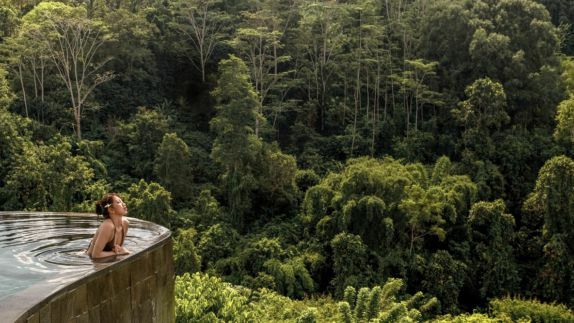 Truly celebrate, once-in-a-lifetime moments with your loved ones as an extensive selection of adventures such as trekking through the Monkey Forest, await. 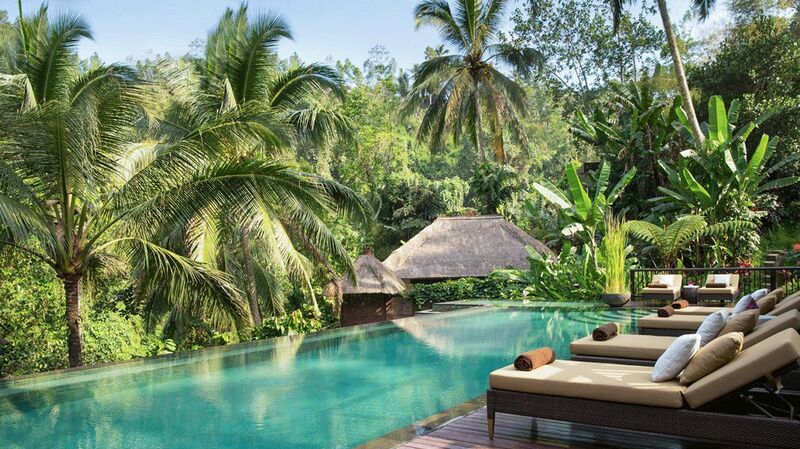 Even moments as simple as diving into the incredibly refreshing floating pool rejuvenate your mind, body and soul.